Hello everyone & hope you all had a great Labor Day weekend! Today I wanted to do a review on a product I purchased recently. 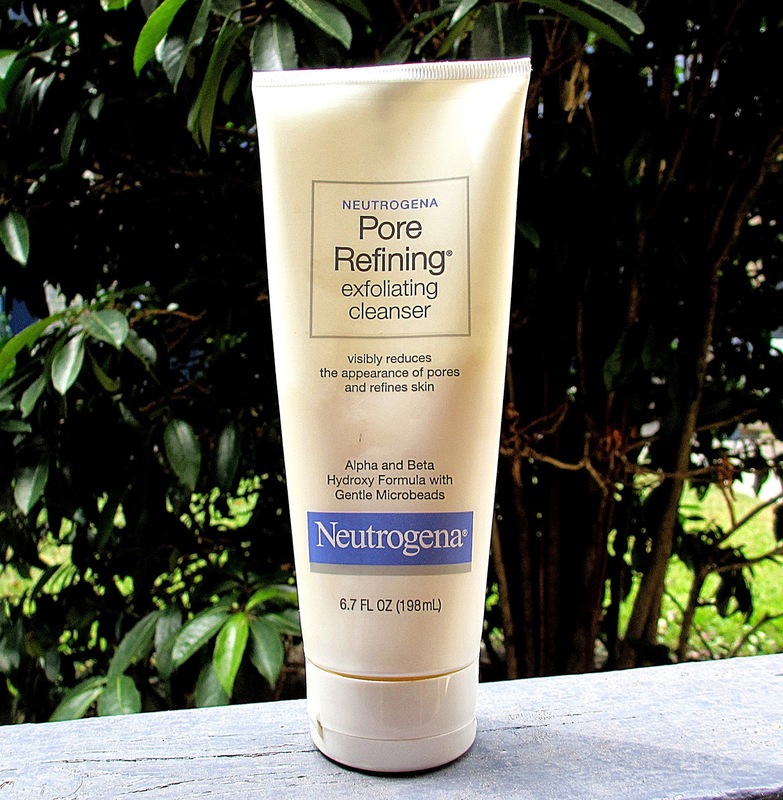 When I went to purchase the Neutrogena Pore Refining Cleanser, the cashier asked me if it was effective, so now I'd like to answer that question for everyone! Pores can be a tricky thing to deal with! I never really bothered with them until recently. I've started to become more cognizant of their presence on my face & they've really started to bother me! Soon I hope to do a few posts on natural methods to help shrink pores. The pore refining cleanser has microbeads that claim to gently remove dirt from the pores, which causes them to shrink. In a cleanser, quality texture is something I look for, as well as the level of abrasiveness of the formula. This cleanser has a slight abrasiveness, to where I feel comfortable using it twice a day. After a wash, my face does not feel dry or get those pesky patches of dryness. I still use a moisturizer to keep my pores from absorbing any oil or dirt. I recommend using this cleanser in the shower or with warm water so the formula can be absorbed properly through the pores. The formula is non-comedogenic which means it won't clog pores or leave any residue. It's also soap-free, meaning it's less harsh for those with sensitive skin, but it still has a desirable lather. There's no distinguishable smell to this cleanser & it won't leave an odor on the skin. The biggest flaw to this cleanser is that each time I use it I feel a burning sensation around my eyes & nose. Even if I'm very careful not to get it in these places, I still feel a brief burning sensation. Nothing too serious, but it's quite irritating. I've found other reviews that say the same thing, so perhaps it's an ingredient in the formula. I wouldn't say this has worked miracles on my pores, but it did help some with shrinkage & eliminating blackheads. Overall it's a quality, affordable drugstore cleanser that shouldn't give your skin a bad reaction. There's a warning on the back that says to wear sunblock after using this cleanser because it contains ingredients that make the skin extra sensitive to the sun. Fortunately my moisturizer has an SPF, so I feel comfortable being exposed to sunlight. If you're interested in this cleanser, you can find it here. It's also sold in most grocery stores & drug stores for around 6-8 dollars. Hope you enjoyed this review!